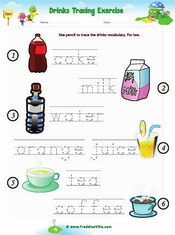 These ESL worksheets will help learners review words and sentences related to food and drinks. 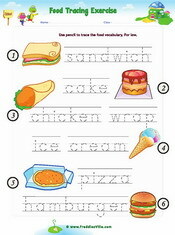 There matching exercises, writing and tracing worksheets and more. 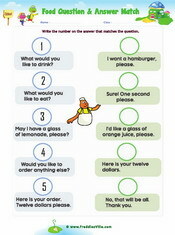 Examples of verb noun collocations include: What would you like to order? 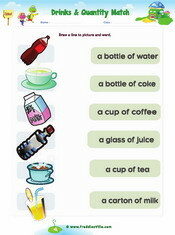 What would like to drink? 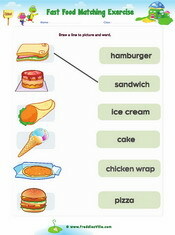 Words used include: Hamburger, ice cream, cake, chicken wrap, sandwich.